What is Soda Ash and what is it used for? Soda Ash or Sodium Carbonate (Na2CO3) as it is chemically known, is a white powder or granular substance refined from the mineral trona. It is a vital raw material in many industrial applications, such as detergents, chemicals, and glass manufacturing. 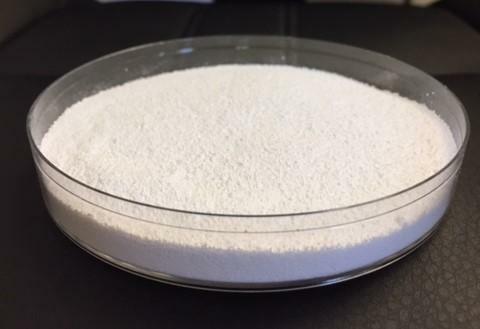 Natrium Products customers utilize Soda Ash in waste and water treatment, paper manufacturing, detergent manufacturing, and the chemical industry. High Purity vs Dense Soda Ash? Natrium Products offers both high purity and dense soda ash. Our soda ash is of the highest quality and meets tight specification limits. While Natrium’s dense soda ash is suitable for most applications, our high purity has more stringent chemical specifications. Contact us if you are searching for a source of food grade soda ash. 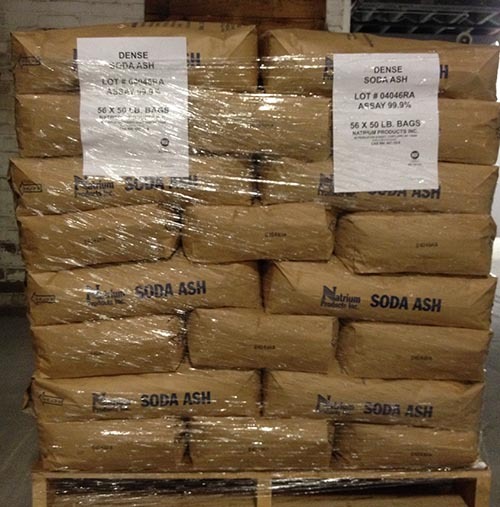 As a repacker and distributor, Natrium offers packaged Soda Ash to customers directly from our facility in Cortland, New York. Our product is packaged and ready for purchase in both 50-pound bags and 2300-pound sacks, and are shipped on 48” X 40” heat treated wood pallets to insure your product arrives to you safely and contaminate free. Natrium Products will also deliver mixed truckloads of Soda Ash and Sodium Bicarbonate for your convenience. Give us a call to discuss your special needs. The SDS and technical data sheets for the high purity and dense soda ash grades can be downloaded by clicking on the links below.